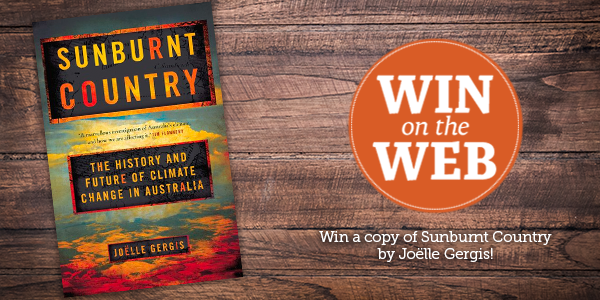 This week's Win on the Web is a copy of Sunburnt Country by Joëlle Gergis! The history and future of climate change in Australia. This book details how scientists study the Australian climate to determine changes in the past and how it will impact the future of our countries climate Enter below for your chance to win!